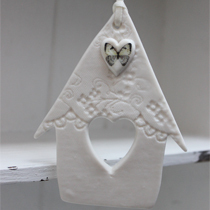 A pretty lace bird house hanging will make a lovely addition to your home. 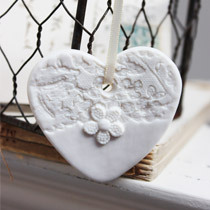 It is handcrafted from fine white porcelain with lace imprint, a sweet blue butterfly design and heart cut out. 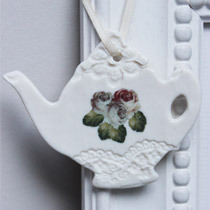 It is finished with cream ribbon for hanging. 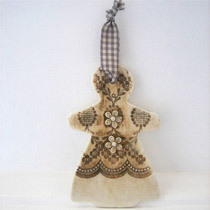 Will make a gorgeous house warming gift or just a treat for yourself. Individually handcrafted therefore will be variations in lace pattern and texture.